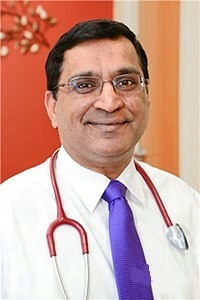 Dr. Ruchir Agrawal board certified allergy specialist. Dr. Ruchir Agrawal is a Board Certified Allergy Specialist, certified in both pediatric and adult medicine with the American Board of Allergy and Immunology. Dr. Agrawal obtained his medical degree from the Armed Forces Medical College (AFMC), one of the top three medical colleges in India. He completed his pediatric residency and fellowship in Allergy, Asthma and Immunology at Louisiana State University Health Sciences Center (LSUHSC) in Shreveport, Louisiana. He was also cross-trained in Adult Allergy and Asthma from Tulane University and LSUHSC-New Orleans. During his fellowship, he received a scholarship from the American College of Asthma Allergy and Immunology. Dr. Agrawal was in private practice in the Greater Milwaukee area from 2002 to 2008, before moving to a multi-specialty clinic in Sheboygan, Wisconsin from 2008 to 2013. He went into practice with the ENT Institute in Atlanta, Georgia, before opening his own practice in Peachtree City in August 2014. Dr. Agrawal authored multiple chapters for Medscape.com, a leading medical resource for healthcare professionals. He has also presented nationally for the American College of Allergy, Asthma and Immunology, as well as the American Academy of Allergy, Asthma and Immunology. Dr. Agrawal treats all aspects of allergic disorders, including asthma and immunodeficiency. Most commonly, patients see him for severe asthma, food allergies, allergic rhinitis (hay fever), allergic conjunctivitis, eosinophilic esophagitis, and recurrent sinus or ear infections. He offers personalized care, same-day visits, and happily cares for patients of all ages. Dr. Agrawal also has vast interest in Complementary Medicine, and is Board Certified with the American Board of Integrative and Holistic Medicine. He is also trained in Functional and Nutritional Medicine, and focuses on healthy lifestyle and prevention of chronic illnesses. He lives with his wife and two sons in Peachtree City. He loves to take road trips with his family, and enjoys photography, biking, and playing tennis.